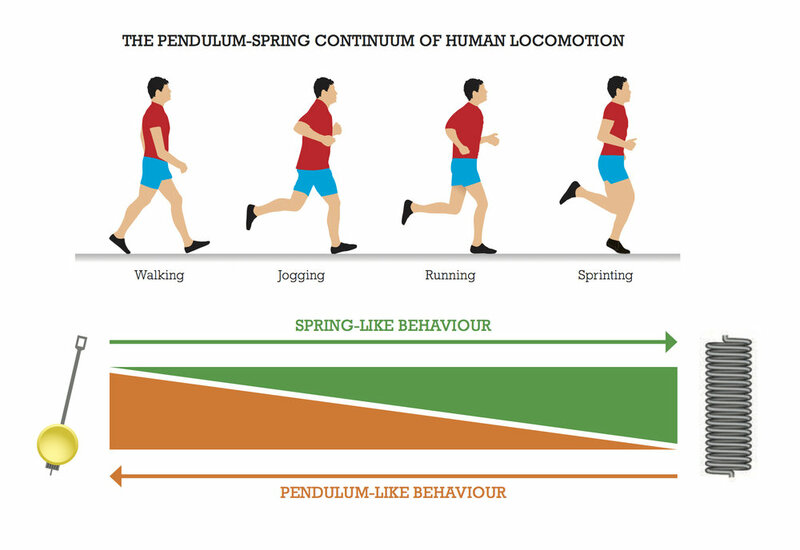 Walking is a true pendulum-like gait. The body’s centre of gravity rises and falls over a stiff, supporting leg creating an exchange of kinetic and potential energy (like an inverted pendulum). The mechanics of the foot and ankle are integral to the pendulum effect, providing a stable but mobile base of support for the the body to ‘vault’ over via a system of 3 rockers or pivots operating in the sagittal plane (see diagram). The leg is also acting like a pendulum during ‘swing phase’ as it swings back and forth from the hip Joint. Any restriction in the sagittal plane due to compromised foot or ankle function will cause compensations to occur in the frontal and transverse planes (toeing out, bow legs, over pronation etc.). The most common sagittal blocks are in the ‘ankle rocker’, due to reduced functional range in the ankle joint, and in the ‘forefoot rocker’, due to hallux valgus/hallux rigidus. The 3 rockers create the classic heel-toe action that characterises walking in humans. ‘forefoot rocker’ and the stabilising function of the toes. Sole thickness, cushioning, heel height etc. are negotiable based on the terrain, climate, BMI and age of the walker. Pink M et al. Lower extremity range of motion in the recreational sport runner.